Read the biographies of instructors teaching at the School of Continuing Studies. Please note that biographies are posted on a voluntary basis. 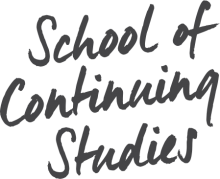 If you are instructor at the School of Continuing Studies and would like to submit your biography, go to this page.